Child care is all about taking complete care and supervising a child’s condition, generally of the ones ranging between 0-13 years of age. Becoming a CNA in order to specialize in child care will require you to meet the same requirements as that of a regular certified nursing assistant. 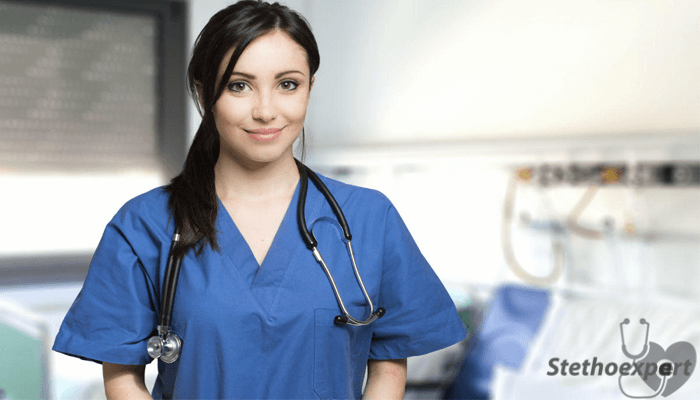 To become a certified nurse aide, you must pursue a certified nursing assistant course in your state and pass state certification exam after the completion of this course. Several colleges, nursing schools, and independent facilities provide state-approved certified nursing assistant courses. Completion of such a program is important to sit for state certification exam. CNA that specializes in child care are known as CPNA (Certified Pediatric Nursing Assistant). They provide child care, and assists pediatrician in their work. This includes carrying out physical exams, monitoring child’s condition, and giving medication. A state-approved CNA course includes a minimum of 75 hours of training, including classroom training and clinical hands-on exercises. Duration of this course may be more than 75 hours in some states. Before taking a program, you will require to meet the requirements for certified nursing assistant courses. This includes being a high school diploma holder or GED holder. You must pass criminal background check and medical (drug) test. Being calm and patient will help you a lot in performing well in this course. You must be a good conversationalist, as you will require dealing with patients and doctors frequently. After you complete this course, apply for state certification exam. In this exam, you require going through two parts, namely a written test and skills evaluation test. Make certain you perform well in both these parts, as this will guarantee CNA licensure in your state. If you are able to fulfill this, you will get a certified nurse aide license, using which you can find work in any facility in your state. Keep one thing in mind that you will not get the opportunity to work as a certified pediatric nursing assistant immediately after passing the state CNA certification exam until you gain some experience, although there can be some exceptional cases. This case may happen if your resume reflects your true personality. For this, make sure you keep your resume simple and precise. Include the career objectives that will help you in attaining a job in a nursing facility dealing with child care. Refer sample interview questions that will give you a brief idea of what sorts of questions the employers will ask. Stay calm, keep presence of mind, and answer the questions with politeness and decency. Ensuring this will surely increase your chances of selection. Responsibilities of a CNA that specializes in child care are same as that of a regular certified nursing assistant. They work under the supervision of pediatric nurses. The only difference is that a certified nurse aide works for the entire residents, while CPNA specifically takes care of children only. This includes activities of daily living, including brushing, bathing, feeding, assisting in exercises. Other responsibilities include monitoring vital signs, CPR testing, maintaining records, and reporting on time. Children are sensitive and delicate. Thus a CPNA takes full care of entertaining them with affection and making them comfortable in the facility. This is very important, as children are too small to understand their condition. Thus if you are a willing to work as a certified pediatric nurse aide, start looking for employment in a hospital that provides pediatric facility. Even a CNA working in pediatric care center or any associated facility earns decent salary. Normally, their average earnings vary between $11 and $12 hourly. In addition to this, U.S. is expected to see a growth of 18% in nursing position including pediatric nurse aides. Thus if your interest lies in becoming a pediatric nursing assistant, you must go for it, as your future will be secure and satisfying.